16 Feb Tickets are now on sale for the hottest Global Conference highlighting Women and Diversity in Tech! Registrations now open for the #WWT2017 london conference – Contracts IT Recruitment Consulting in partnership with Wonder Women Tech. We would love to gain your support as we celebrate #WeAreChangemakers and #Londonisopen. Please help us highlight the wonderful talent in the city where we will be hosting global thought leaders who are passionate about closing the gender gap, helping companies hire a diverse workforce, exposing women, girls and the underrepresented to STEAM careers, and who are leading the charge to create technology and innovative solutions for a better world. 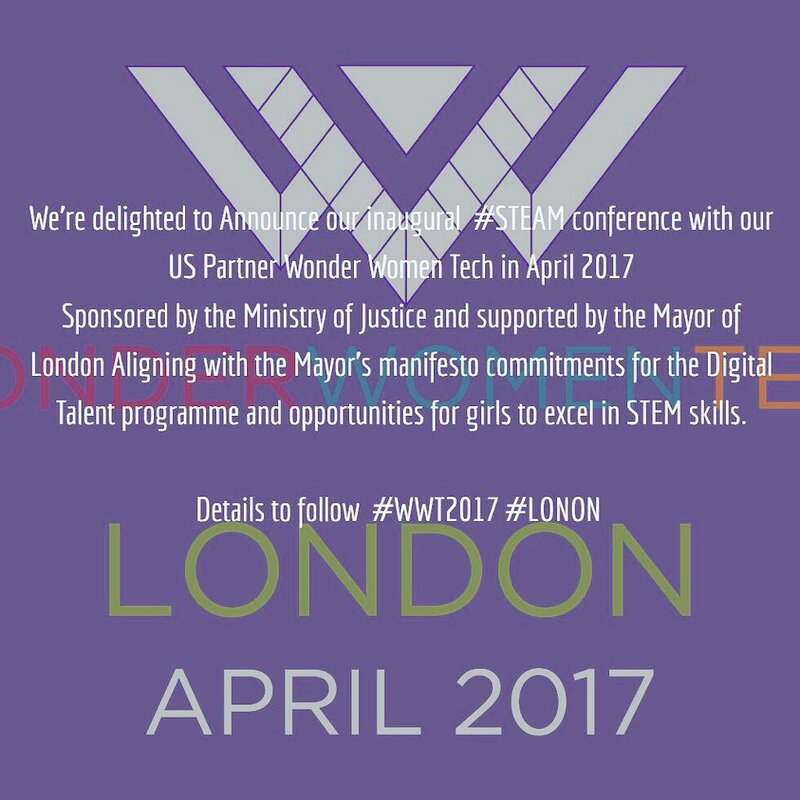 The event will be aligning with the Mayor’s Manifesto commitments for Digital Talent programme opportunities for girls to excel in STEM skills. Join us on April 27th and enjoy an exciting day of speakers, keynotes, breakouts, panel discussions and career development workshops. Discover your next career position and/or mentor at our Speed Recruiting and Speed Mentoring Sessions. Hear from the Who’s Who of London/UK Tech and discover how #LondonisOpen. Find out what we’re doing for women in tech, and how to diversify our workforce in STEAM industries. After the conference, we’ll mix and mingle at the Buckingham Arms Pub and network with other industry pioneers and #changemakers in tech.